Of course they dont mean themselves, its all those lazy liberal people who want government to take care of them. Stay longer hours in the sun all you construction personnel, risking sunstroke. 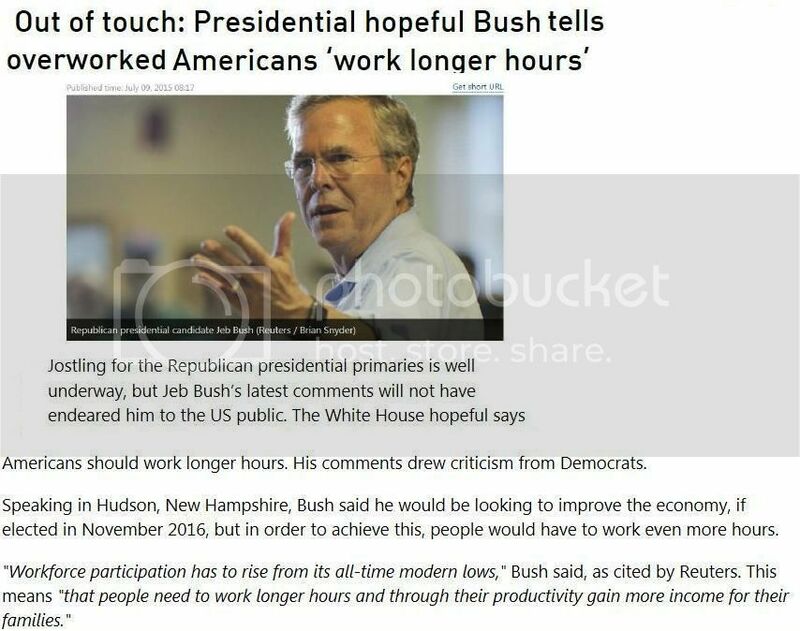 Jeb Bush youre a rich, selfish, out of touch DORK! A report that Gallup released Friday showed the average time worked by full-time employees has ticked up to 46.7 hours a week, or nearly a full extra eight-hour day. Just 40 percent of Americans who work full time say they clock the standard 40 hours a week. Another 50 percent say they work more than that.